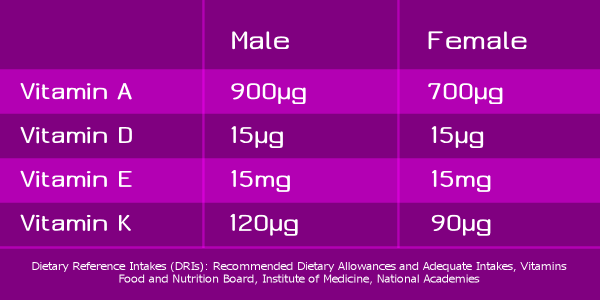 Lauren Quigley returns for part two of her guest post on nutrition (read part one here), with loads more information on how to monitor your stats like you’re your own RPG character. Ironically, us gamers are often pretty bad at taking our own bodies past level 1 or 2, so these posts should come in handy for most of us. We recently talked about how balancing the macronutrients–carbohydrates, fat, and protein–to fit our needs can help our bodies perform as epically as possible in the game of life. Other crucial components to that balance are the micronutrients, otherwise known as the 13 essential vitamins and essential minerals. 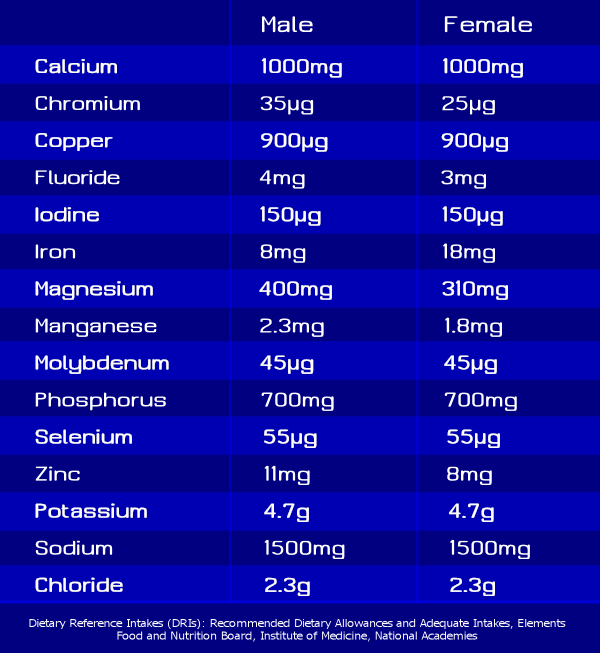 Here’s one way I like to look at the micronutrients: if we exceed the recommended amounts or don’t consume enough, they act as condition modifiers on our bodies, causing a whole host of problems from fatigue and decreased immunity to brittle bones and nerve damage. Meticulously keeping track of these numbers usually isn’t necessary with a balanced diet, but it’s still a good idea to understand their functions and the differences between them. The water-soluble vitamins are Vitamin C, Vitamin B6, Vitamin B12, Pantothenic Acid, Biotin, Niacin, Riboflavin, Thiamine, and Folate. Unlike the fat-soluble vitamins, these are not stored in body tissues and must be replenished each day. Reaching toxic levels of these is much more difficult since we’re constantly excreting them, but there are certain overdoses that can cause nerve problems (Vitamin B6), kidney stones (Vitamin C), or even mask other deficiencies or health problems. 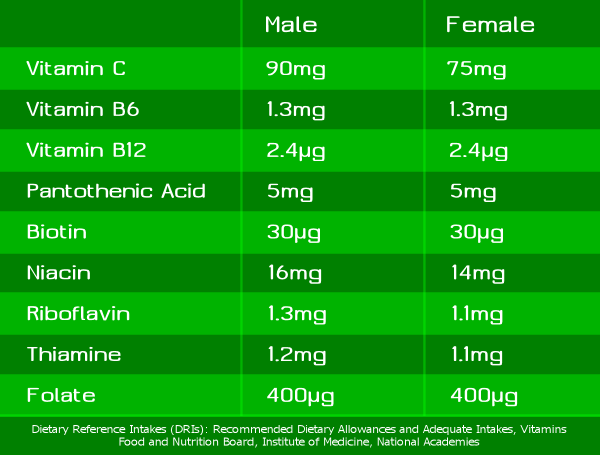 This is worth mentioning since many supplements and energy shots feature CRAZY amounts of vitamins. For example, 5-Hour Energy shots contain 2000% of the recommended amount of Vitamin B6–a perfect potion for flirting with nerve damage! What’s ironic about these so-called health or energy supplements is that their excess vitamins are basically useless–our bodies can only use so much at once, and the money spent on them will literally go down the toilet with your urine. In some cases, research hasn’t yet been able to pinpoint a specific amount needed by most people for the various vitamins and minerals. Instead, the recommendations we’re given reflect what seems to be beneficial without going overboard and producing adverse effects. This is the case with many of the essential mineral recommendations, but since most are needed in only tiny amounts, they’re easy to achieve with a generally balanced diet. Maintaining optimal stats can be a challenge, but learning how your body works and what it needs is the first simple step toward making it the best it can be. Here’s to long, strong, healthy lives of completed quests and limitless adventure!